Irinel Stanciu, MD, FACE, CCD is a board-certified endocrinologist who specializes in osteoporosis, hyperparathyroidism and metabolic bone disorders. Dr. Stanciu has training in general surgery, internal medicine and endocrinology. She has worked as both an internal medicine and endocrine physician giving her a broad spectrum of experience with endocrine disorders and general health. 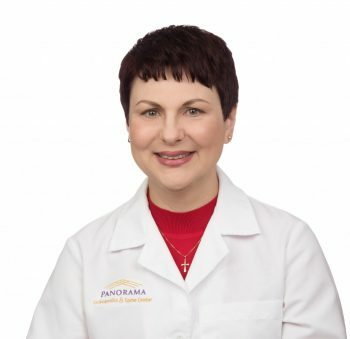 Dr. Stanciu joins the Colorado Center for Bone Research at Panorama from St. Luke’s Clinic Idaho Endocrinology in Boise Idaho where she was considered the authority on metabolic bone and endocrine disorders. Dr. Stanciu was born in Bucharest, Romania to a father who was a vet and a mother who was a nurse. Due to this early exposure to medicine and its ability to change people’s lives, Dr. Stanciu developed a passion for medicine and a dream of being a doctor. Despite the extremely challenging road to becoming a physician in Romania and her parents’ advice, she pursued medical school. After passing her exams to enter University, Dr. Stanciu attended medical school at Carol Davila University in Bucharest, Romania. She continued her training with an internship in general surgery at Emergency Clinical Hospitalfollowed by a general medicine residency atFundeni Clinical Hospital both in Bucharest, Romania.Toward the end of her medical school, in 1989, the Romanian Revolution began leaving Dr. Stanciu trapped for three days in the hospital caring for patients because it was too dangerous to leave. Dr. Stanciu moved to the United States in 1997 to complete an internal medicine residency at Cook County Hospital in Chicago. Following residency, she chose to complete an endocrine fellowship at Loyola University in Maywood,Illinois. She received her board certification in endocrinology and metabolism in 2008. Prior to joining Panorama, Dr. Stanciu had been practicing at St. Luke’s Clinic – Idaho Endocrinology, where she most recently spearheaded the St. Luke’s Osteoporosis and Fracture Liaison Service to help promote the treatment, prevention and follow-up of osteoporosis care. Dr. Stanciu is excited to join Dr. Paul Miller at the CCBR in order to further the research in metabolic bone. She treats the bone as an intricate universe and treats every case individually and uniquely, stating that, “we may study disorders but in the clinic, I have in front of me a person with a dysfunction that needs restoration”. Her favorite part about osteoporosis and metabolic bone disordersis that it is challenging and requires a lot of thinking as well as finding the cause of the fracture.She likes to understand the causes over treating the symptoms that patients present. Her goal is to make every patient comfortable and encourage them to be an active participant in their healing. Dr. Stanciu looks at her practice as patient oriented and wants to be cost meaningful in her treatment and diagnosis. She does not just run tests just because they are available. “Every test I order has to help me diagnose appropriately and treat my patient.” Dr Stanciu says. Dr. Stanciu is excited to fulfill the dream that started in Romania and loves that she is able to do that at the Colorado Center for Bone Research. She had met Dr. Miller at several conferences over the years and jumped at the opportunity to work alongside him. She is looking forward to the challenges that a true metabolic practice presents and the opportunity that is presented by partnering with Panorama. 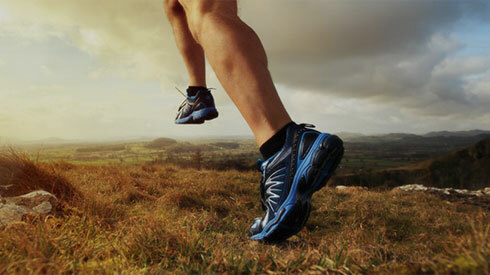 “The concept of orthopedic collaboration is an overdue model. The partnership will help patients both in improving orthopedic outcomes and discovering and preventing metabolic bone disease early on,” said Dr Stanciu. “Other communities should embrace it,” she adds. When she is not working, Dr. Stanciu enjoys the beautiful weather and mountains of Colorado, where she can be found hiking and camping in the summer and skiing in the winter. She has two daughters and one granddaughter. Dr. Stanciu sees patients at Panorama’s office in Golden.